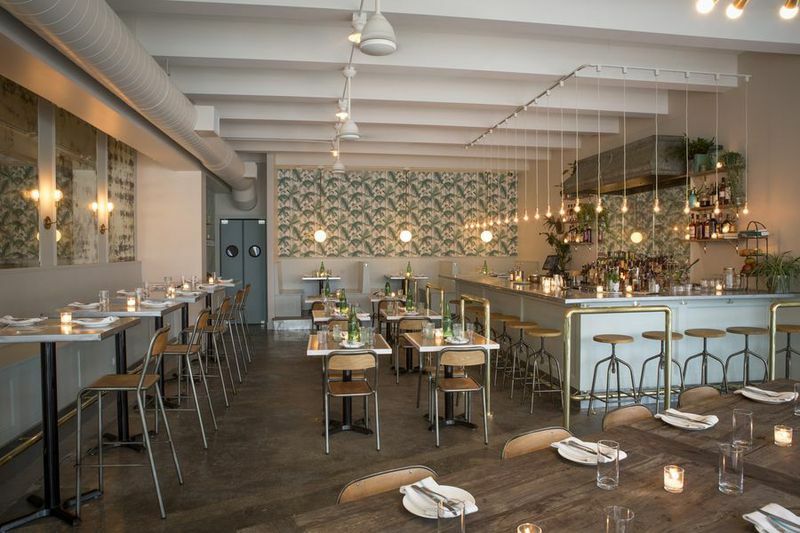 Every week, Eater offers three picks for places to eat and drink over the weekend. 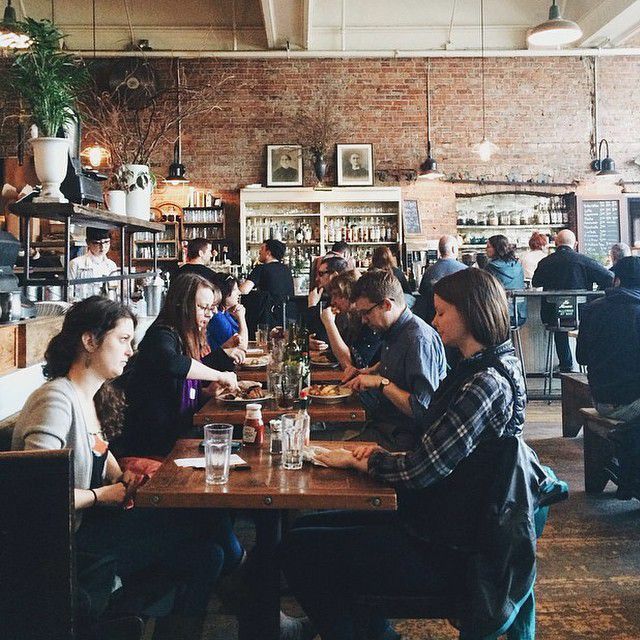 Welcome back to Eater Seattle’s Something for the Weekend column. Every Friday, you probably think the same question: Where should I eat and drink this weekend? Covering brunch, dinner, and everything in between, here now, three places to try this weekend. This gem on Nickerson Street sells an array of beautiful Scandinavian baked goods, from pastries to cakes to breads. It’s impossible not to want every single thing in the case. Byen Bakeri also sells sandwiches, but those are just so-so. The pastries are where it’s at. Hope you like cardamom. Ok, the weekend forecast does not look like ice cream weather in the least, but perhaps there’s a bit of frozen sunshine to be found at Bluebird. We really love anything with their vegan coconut ice cream base. And if you haven’t had an affogato here yet, you’re seriously missing out. If you can find it, you’ve earned it. Radiator Whiskey is tucked inside Pike Place Market’s Corner Market Building, making it a bit challenging to locate on your first visit, but you’ll be a pro soon enough. Reach for something aged, or an original cocktail, and don’t leave without ordering food. It’s all really, really good here. We love that Oddfellows Cafe‘s happy hour starts at 3 p.m., the exact time we hanker for a drink on a Friday. Pair a cocktail with a snack like the deviled eggs or fries, or linger until dinner. It’s pretty much all good at this Capitol Hill standard. Venture over to Bellevue for shio ramen at Hokkaido Ramen Santouka, a Japan-based chain that migrated here last April. The rich tonkotsu broth is created by simmering pork bones for 20 hours, creating a silky richness worth slurping. 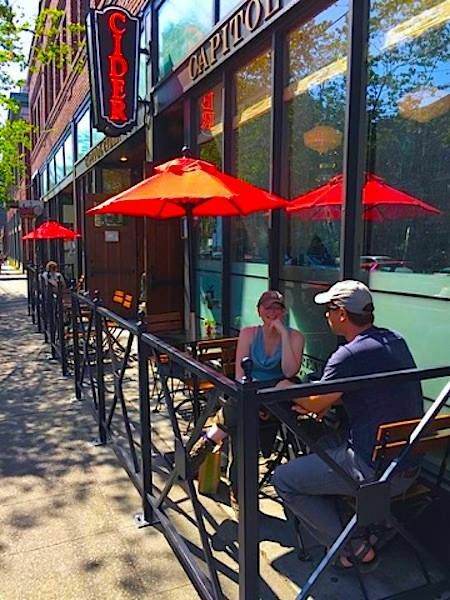 It’s looking like another warm weekend, so venture to Rachel’s Ginger Beer on Capitol Hill for frozen cocktails and enormous bowls of fries. It gets busy here, and rightfully so, so air on the early side. With a well-curated cider list and a strong cocktail list, you can’t go wrong at Capitol Cider. Add to that the fact that they churn out consistently excellent food at brunch and dinner that happens to be gluten-free without the feeling you’re making any sacrifice whatsoever, and this place is a must. When Chuck Shin turned an abandoned copy shop into a bottle shop and taphouse, he bestowed the Central District with one of the best gifts a business owner can possibly give. Chuck’s Hop Shop is ever popular, especially since you can bring your dogs and your babies while still getting your drink on. There’s a killer food truck line-up, too. Low-key Crucible Wines is located next to The Woods, the tasting room for Seattle Cider and Two Beers. You’ll have to stretch your idea of the weekend to visit, though, since they’re only open on Thursday and Friday nights for a few hours at a time. Still, you’ll get a personal experience likely with the winemaker himself pouring your samples, just a few feet away from where the grapes are crushed, fermented, and bottled. All the buzz is right on: Stateside is outstanding. Eric Johnson’s menu of Vietnamese dishes is near perfect, and it seems you can’t go wrong with whatever meal you put together from the seasonally-inspired menu of small, medium, and large plates. Aim for current favorites: grilled corn on the cob, crispy duck fresh rolls, heirloom tomato salad, and glazed short ribs. Ghostfish Brewing has seemingly done the impossible by crafting gluten-free beer that is not only drinkable, but outstanding. In our opinion, it can stand up to any beer in the city. What’s more, they’re going outside of the box and doing randall infusions and experimental beers. Sun Liquor Distillery hosts a generous, daily happy hour from 4 to 7 p.m. that will bring your cocktail bill down quite a bit. And that’s a good thing, because you’ll want to have more than one here. If you’re hungry, we recommend brunch over the dinner menu, which is fairly run-of-the-mill. Still, dinner will do if you have the munchies after your drinks. Better yet, hit Sun Liquor as a preamble to dinner at Stateside, a few blocks away.